Written by an accomplished teacher, scholar, and writer, Simple Logic is unique in its sensitivity to today's student audience; it provides philosophical writing samples that are of interest and relevance to students' lives. Daniel Bonevac's clear writing style and careful presentation helps students to easily understand key concepts, terms, and examples. He features a multitude of interesting and relevant examples drawn from literary texts and contemporary culture, including figures as varied as Voltaire, Confucius, and Bart Simpson. 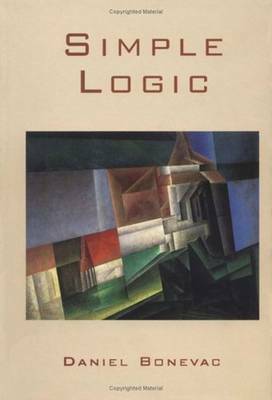 Simple Logic succeeds in conveying the standard topics in introductory logic with easy-to-understand explanations of rules and methods, while concentrating the discussion on fundamental topics taught by the majority of logic instructors.